WASHINGTON The Federal Reserve is changing its schedule for issuing policy statements, a shift that will give Chairman Ben Bernanke more control over how investors respond to the Fed's decisions. The Fed will now issue a statement at 2 p.m. Eastern time for all eight meetings. Four of those meetings will be followed by a Bernanke news conference at 2:30 p.m. Prior to the change, nearly two hours passed between when the statement was issued and Bernanke's news conference began. The central bank said in a statement on Wednesday that the reduction aims to "better facilitate the release of information in conjunction with the Chairman's quarterly news conferences." By reducing the time in between, Bernanke can more quickly manage how the statement is interpreted. Investors scrutinize the Fed's words for signals of when it might start raising interest rates. 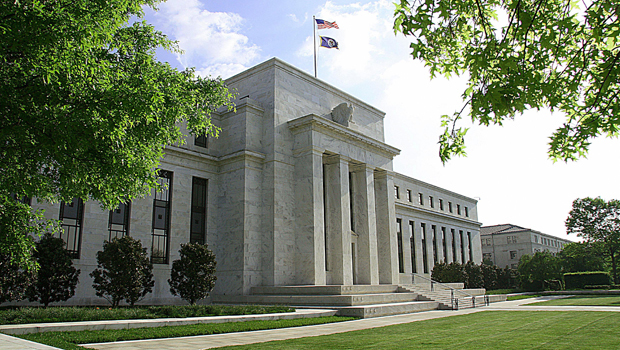 The time changes will go into effect at the Fed's next meeting on March 19-20. Many economists believe Fed officials will maintain their low-interest rate policies at current levels but take no new steps at the March meeting. In January, the Fed stood behind aggressive steps it launched in December to try to reduce unemployment. It repeated that it would keep its key short-term interest rate at a record low at least until unemployment falls below 6.5 percent. And the Fed said it would keep buying Treasurys and mortgage bonds to help lower borrowing costs and encourage spending. The unemployment rate fell to a four-year low of 7.7 percent last month, down from 7.9 percent in January when the Fed last met. Some critics, including some regional Fed bank presidents, have expressed worries that the Fed's policies could hasten inflation. But Bernanke has sent signals recently that he plans to keep continue the Fed's aggressive policies until there is a substantial improvement in the job market. The Fed only started to release brief policy statements after its meetings in 1994. Before then, markets had to guess at the Fed's intentions on interest rates. In 2011, Bernanke went further by holding regular news conferences, a first for a Fed chairman.